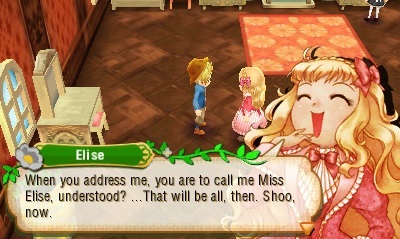 It’s time to reap the harvest that XSEED hath brought. 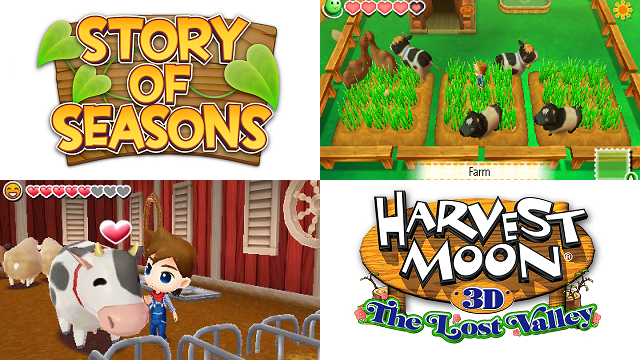 Story of Seasons, the newest title in the main Bokujō Monogatari series — as well as the first to be published in the west by XSEED and without the Harvest Moon name — has released at retail and on the Nintendo eShop for the 3DS. While I have had my hands on the game for some time, I’m not quite ready for a review — mostly because there’s a very important part of the guidelines that I need to fulfill first. But with the game releasing today, I wanted to let you know of certain things to expect if you decide to pick this up. Here are 10 things to keep in mind. 1. If you’ve played a game in this series before, you’ll know what to expect. 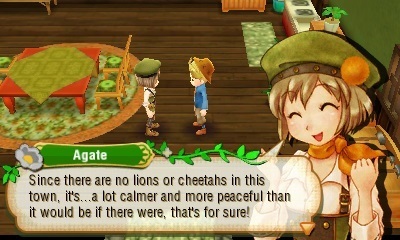 One of four other farmers in Oak Tree Town you’ll compete with. In order to rent out a plot of land, you need to battle the four other farmers in Oak Tree Town to claim that spot. You can do this by either comparing festival results or with a shipping competition. Win either one, and the land is yours… for a little bit of time. Each rented plot of farm land will have a designated crop type that can be planted in that area. For instance, root crops such as turnips, potatoes, and onions go in one plot, mountain crops like honey and mushrooms go in a separate area, flowers get their own little spot of land, and so on. It could be that I just haven’t unlocked it yet, but I haven’t found an actual mine to go digging through. Yes, there is a spot where you can do some quick mining at the Safari, but that’s one single spot, not a full mine. 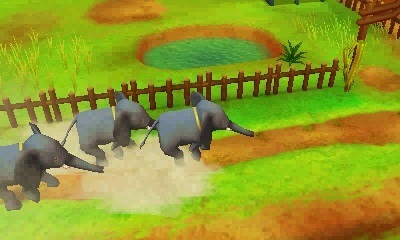 At the start of the game, you’ll go through a tutorial, no matter your experience in the series. During this section, you’ll learn the art of swimming. 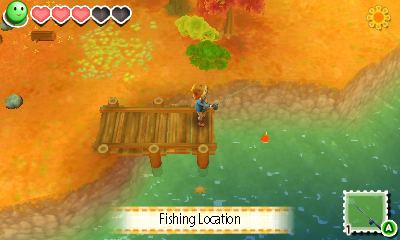 This can help you make money early on in the game as you’ll be able to catch small fish as well as any miscellaneous items that are in the rivers. This element will also allow you to temporarily have a fish hatchery to harvest fish. Be careful not to leave any fish when you take some out because the hatchery could bust, having you lose that fish. Nothing else to really note. It seems weird enough to mention since the common practice for this series is 30 days. Most of the time, you can catch bugs fairly easily. Just run up to them and press A and you should catch them. However, there are some — the red flies with white wings — that seem to have no rhyme or reason in how you catch them. One time, I caught one that was already off the screen. And this was with the zoom all the way out. Be mindful of those bugs. 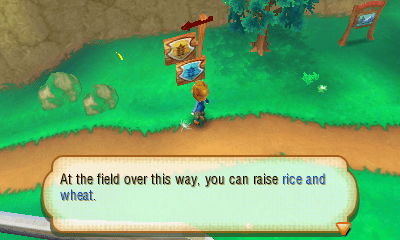 It would seem self-explanatory, since this is a game about growing crops over multiple days, but it’s more than just reaping the rewards of your harvest. The pace of this game seems slower than normal. You have to wait a full week before you can get started on your farm. You have to wait more than three weeks for the Guild to open. You have to wait over a month for more countries to trade with you and just as long until you can edit specific areas of the town. You have to wait two months for additional characters to start showing up and even go to the Safari. Your patience will be tested in this game. But if you can get through all that, you may just find an enjoyable experience. How enjoyable? Well, I’ll tell you when the review comes out. And if you can’t wait for the review… well, I refer you to numbers 1 and 10.